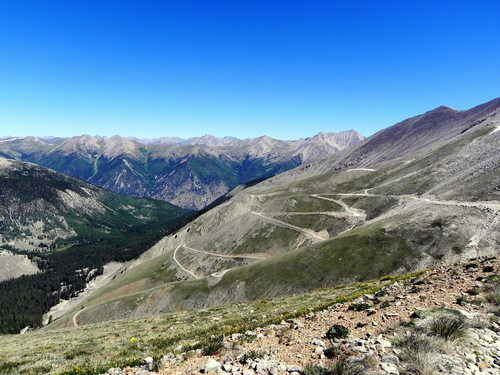 This is a very scenic Jeep trail where you can drive to almost 14,000'. Rough and rocky at lower elevations but smoother near the top. Two sets of switchbacks are exciting, but not dangerous as long as you are careful. 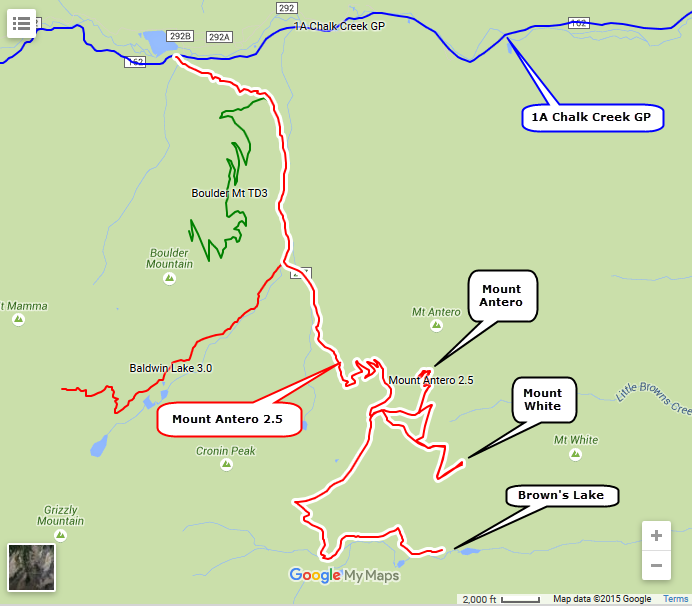 The entire trail is contained in a single track, even though there are 3 distinct areas. Mount Antero takes you to 13,800'. We have seen ptamargins at the top. The switchbacks look intimidating from a distance but they are OK.
Mount White is right next to Mount Antero and reaches 13,300'. 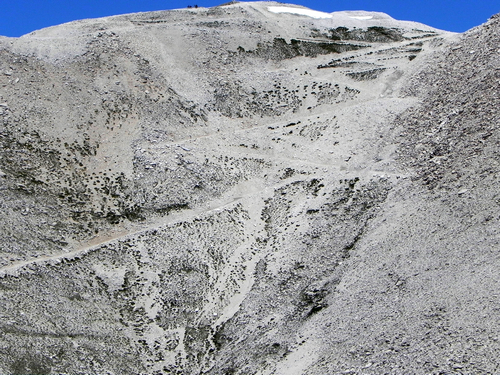 It is a short trail but you get a fantastic view of the trail going up Mount Antero. If you go to Mount White first you can get a good idea of what you're in for before you tackle the big mountain. 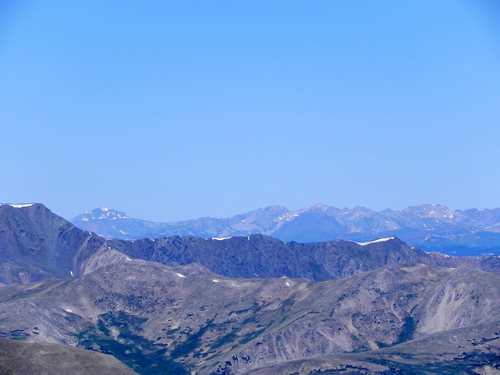 There is also an amazing view of Mount Shavano from Mount White, another 14er. The Browns Lake spur takes you down into the next valley, below timberline again. The lake itself is very big, and gorgeous nestled in between massive mountains. There is a hiking trail that takes you to the other side of the lake and you can reach the actual lake from there.